Some say Toomgis fell to Earth from snack heaven. 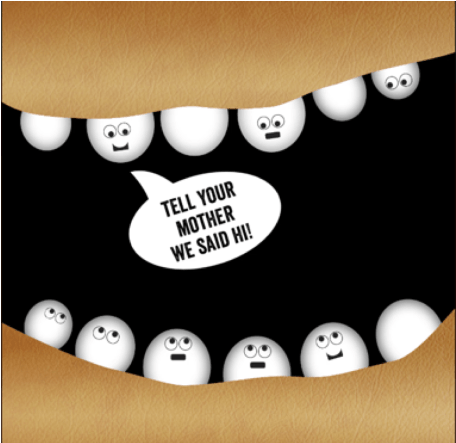 But that's just hearsay. 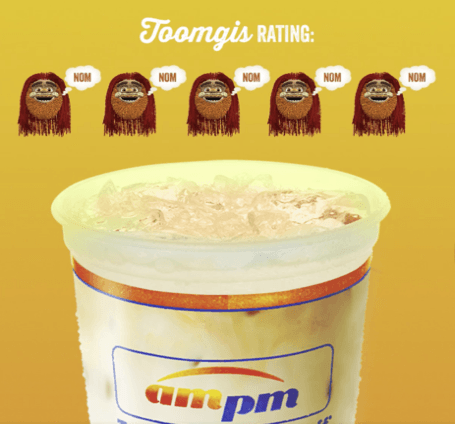 What we do know is Toomgis is Too Much Good Stuff®. 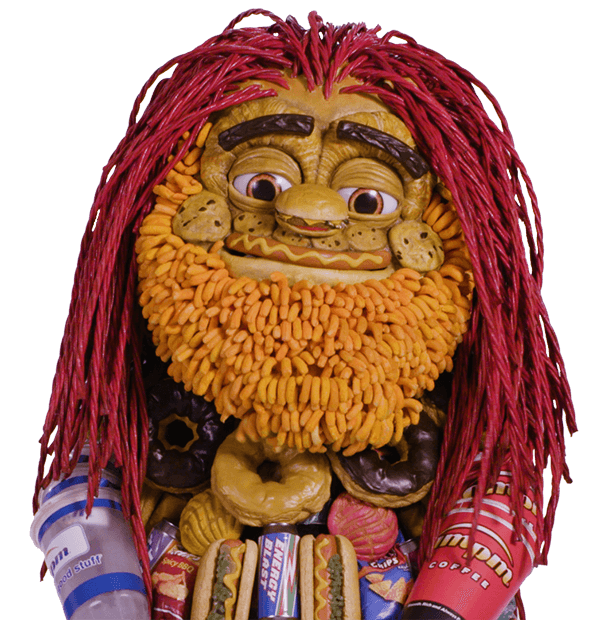 He's a friendly, gentle giant made of hundreds of different foods and drinks, and 35 kinds of generosity and kindness. Toomgis can't fly because of the 3-ounce rule. Toomgis loved this Horchata so much, he cried tears of cinnamon. 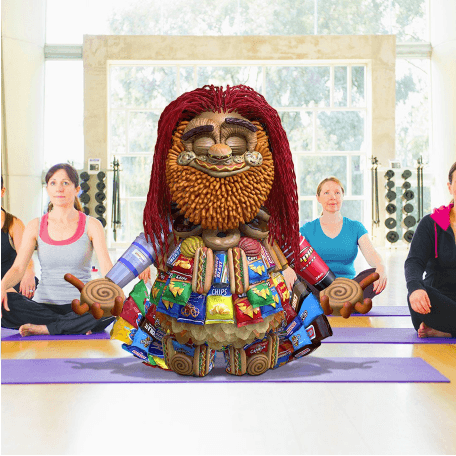 Toomgis only has one yoga pose, the pretzel. 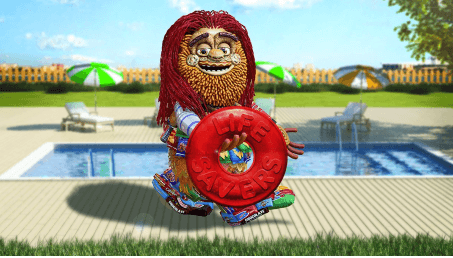 Toomgis works as a lifeguard in the summer. 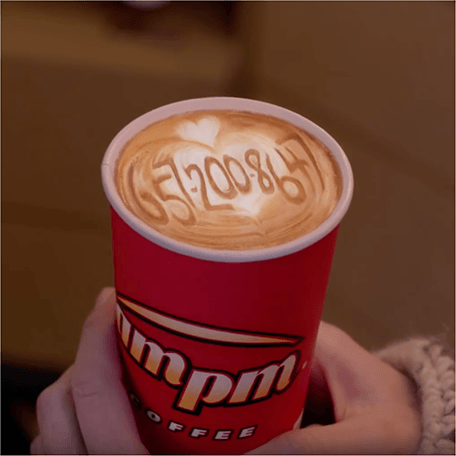 At 7'6", Toomgis was recruited to play basketball by many NBA teams but no coaches would allow snacking on the bench, so he quickly returned to ampm. 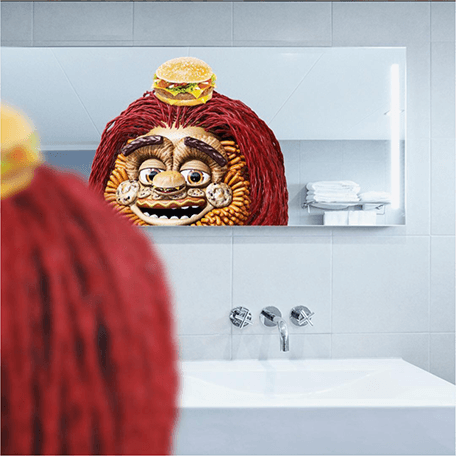 You might say Toomgis has a sweet tooth, but, really, all his teeth are sweet. See for yourself. 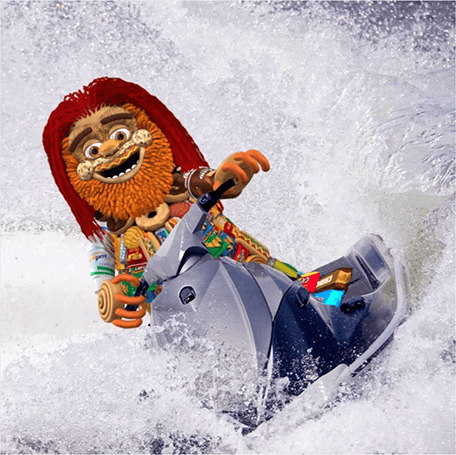 Toomgis had a chance to become a professional jet skier, but it meant giving up his dreams of professional snacking. Plus, it made his cinnamon-roll palms soggy. 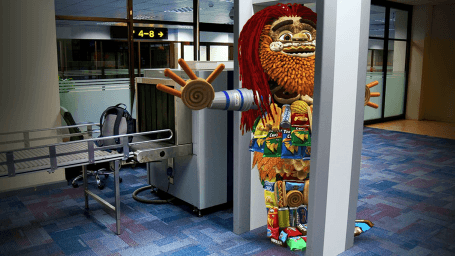 Toomgis became the accidental inventor of the “man bun” when he needed a place to put his sandwich down. 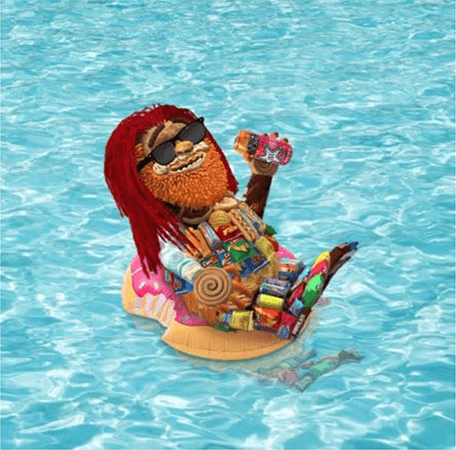 Toomgis didn’t realize this was only a floatie, but, thankfully, we were able to fix it and he could keep snacking by the pool. 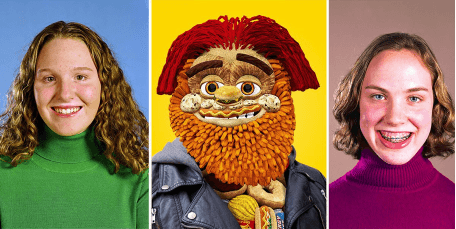 Toomgis doesn’t text (hot-dog fingers) but he loves long phone calls. And even longer voicemails. Give him a call just to say hi or chat about Internet snackspiracy theories.